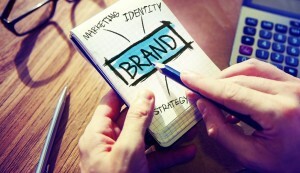 When it comes to branding, your company’s marketing team is on one side of the coin. The members of the team have advanced sales, marketing, and promotional skills and know how to position your company’s product in a way that excites and engages your potential customers. Your HR/recruiting department is on the other side of the branding coin. Your marketing department already positions your company’s sales brand; how can you parlay the marketing department’s knowledge into the creation and positioning of your recruiting brand? Marketing starts on your website. For that reason, you need to evaluate it impartially, just as a third-party marketing professional would. Is it easy to find your career page from your main website? Does your career page reflect your company’s culture? Does it help people visualize what it is like to work at your company? Is it mobile-friendly? Remember, Google changed its search engine algorithm to favor mobile-friendly sites. Make sure your career site doesn’t just resize for mobile. It needs to be truly mobile-friendly, which means easy to view and navigate on any mobile device. How many hits does your career page get? 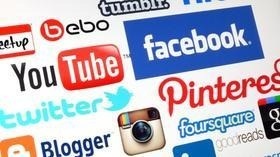 What are the sources of the hits on your career page (social media, job postings, grassroots recruiting efforts, etc.)? How do your application views match up to your application completion rates? What are the mobile application completion rates versus desktop application completion rates? Marketers measure the effectiveness of these tools. Recruiters should, too. Once you know what advertising source works for your recruiting efforts, you can focus on that source and create more opportunities to sell your open positions. Here’s a challenge for you: Would you rather read a page of dense text or a page that has lots of white space and interesting graphics? Humans are visual creatures, so we need to make our recruitment advertising easy on the eyes, entertaining, and engaging. In other words: we need to do a better job of marketing our openings. Consider that most applicant tracking systems are designed by IT, not recruiting teams. IT always outlines requirements prior to starting a job. Sound like a job description? Yes! This is why most applicant tracking systems allow you to upload a job description and then market from there. Unfortunately, the job descriptions that HR writes aren’t compelling from a marketing standpoint — so, stop posting them. Job descriptions are often full of acronyms that are only meaningful within your organization. External applicants don’t fully understand them. Job descriptions are also one-sided. They outline what’s required for the job, but they usually don’t adequately market your recruiting brand or company. Job descriptions aren’t visually appealing. Job descriptions are often written so narrowly that it’s almost impossible to find “the perfect candidate.” Are you demanding so much in your job description that qualified candidates don’t bother to apply? Instead of posting traditional job descriptions, consider partnering with your marketing department to create job-opening collateral. Your marketing team can help you distill the minimum requirements into exciting, engaging text and also make your document visually compelling. There’s no doubt that marketing can work wonders for your recruitment advertising efforts. So, start thinking like a marketer instead of a recruiter, and see how quickly you’ll start filling your candidate pipeline!